Huvafen Fushi, one of the most Hip & Trendy resort of Maldives, will vibe again under the loungy-electro- dreamy influence of DJ RAVIN in October 2010…with his new Album : A Waking Dream. After a hugely successful launch in Paris that was graced with the attendance of Academy Award nominee Catherine Deneuve, Ravin will be hitting the white sandy shores of Huvafen fushi this October 15th, 2010. Per AQUUMs multi-award winning luxury retreat in the Maldives, teamed up again with Ravin, DJ and Producer of the Buddha-bar series to launch its highly anticipated compilation, Huvafen Fushi Maldives By Ravin Volume 2. The second volume has evolved extraordinarily in true Ravin style with never before heard music, rhythms and beats. Something quite rare in a compilation. The very essence of Huvafen Fushi has been captured yet again throughout his mix, evoking memories of Ravin’s experience on the island. All 13 brand new unreleased tracks promise a unique blend of cool ambient-house mixes, a touch of electro and funky bass beats with a twist of jazz and salsa. If I tell you Chic, Barefoot, Luxury, Beautiful and Green…located in Maldives…? What comes up in your mind ? Some might say the latest trendy Resort in Maldives…and some others, the Chic Eco Retreat Aficionados, will surely find the right answer which is Soneva. Soneva by Six Senses Resorts and Spas is a very innovative and successful Chic Eco retreat Resorts concept, created by 2 persons, Sonu and Eva Shivdasani, who have been convinced and charmed by the “Live Green Philosophy” long before the actual trend. They have lived this way for years and decided in 1995 to create the very first Eco-friendly Luxury Resort, Soneva Fushi in Maldives, proving to the Hospitality industry that Luxury could perfectly be combined with Environment. The true “Intelligent Luxury” was born. Soneva story and concept have since then, inspired many Luxury Hotels and Hotel Brands. 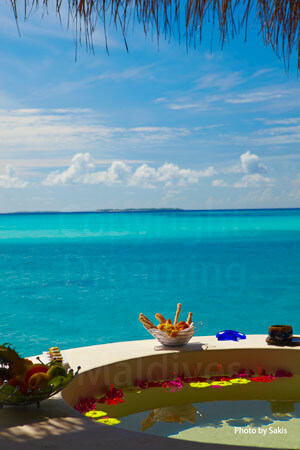 Here at Dreaming of Maldives, their new green challenge could not be ignored…. 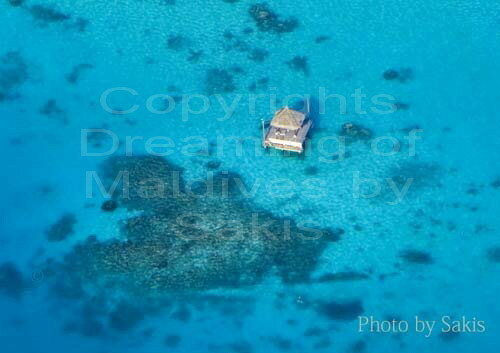 Maldives probably represent the best example in matter of environment and Hospitality. The superb Island Nation, Paradise on Earth, is a gigantic honey-pot for hotels and tourists…bringing almost 600 000 visitors a year on approximately 100 tiny islands having basically nothing else than white coral sandy beaches, lagoons and coconut trees…and all separated from each others. Each resort, at time of construction, is an unthinkable challenge from the first to the last step of pre-operation, with tons of building material brought each day by boat, from Asia or Middle East to Male, the capital, and then from Male to the resort itself, sometimes located at miles and miles away from the capital. But what about the water ? the electricity ? without mentioning the waste …Each resort is independent and can be assimilated to a tiny city with its own Power supply generators and seawater desalination installation, pumping each day a unreasonnable amount of fuel to work for the tenth of thousands of visitors to come. Running a resort is a brain teaser for engineers but mostly, and apart from being extremely costly it has also considerable bad side-effects on the very fragile Maldivian environment and eco-system. This is where Soneva Fushi deserves to come under the spotlights ! The Intelligent Luxury goes beyond the concept with a very clear and serious commitment : to make sustainable development a priority, without compromising the experience and expectations of guests. 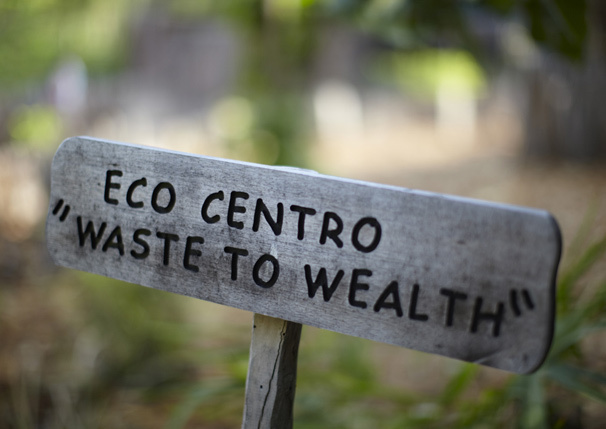 Since 1995, Soneva Fushi challenges creativity and try first any new Green solution. If successful, the idea will then be applied to other resorts. The last in date is the wide use of Solar Energy. 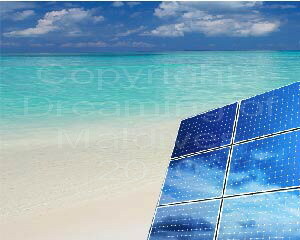 After all…aren’t the Maldives a perfect place to use the Sun endless power ? Pioneer in this huge project, Soneva Fusfi has installed a 70kW solar photovoltaic (PV) power plant system that today has already achieved eight months of successful operation. It is the largest renewable energy plant currently operating in the Maldives. The Sun covers at the moment 3% of the island needs and the installation will expand by another 300% in the near future with besides, the project to have the (very consuming) air conditioning systems converted to Solar Power. Guests love it and we love it too, as we are, ourselves using this fabulous energy at home. We hope now that this initiative will become an example and a model in Maldives and wish Soneva a great success on their Green road ! 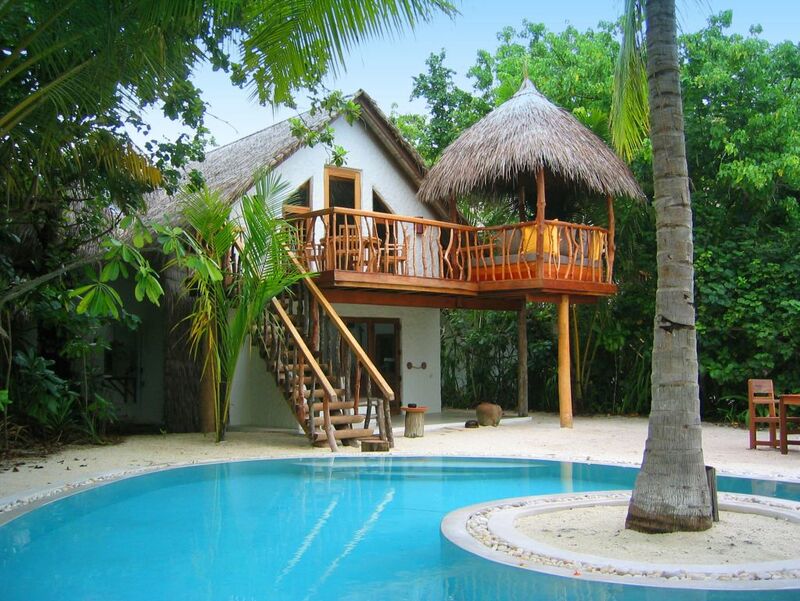 For more information, read the Soneva Green Commitment. The breakfast is waiting for you…Don’t be late ! 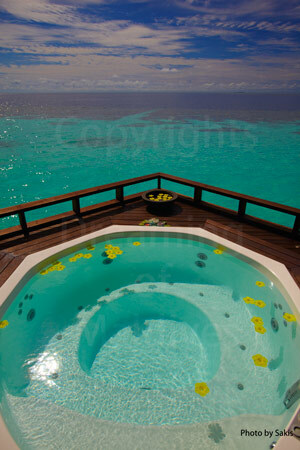 Aerial Photo of a Private deck in a Resort of Maldives. Are you tired of the crowd ? Fed up with cars, noise and pollution ? Do you want a total and absolute retreat away from the confusion that is going on around you ?